How to prepare your audio production for the internet? 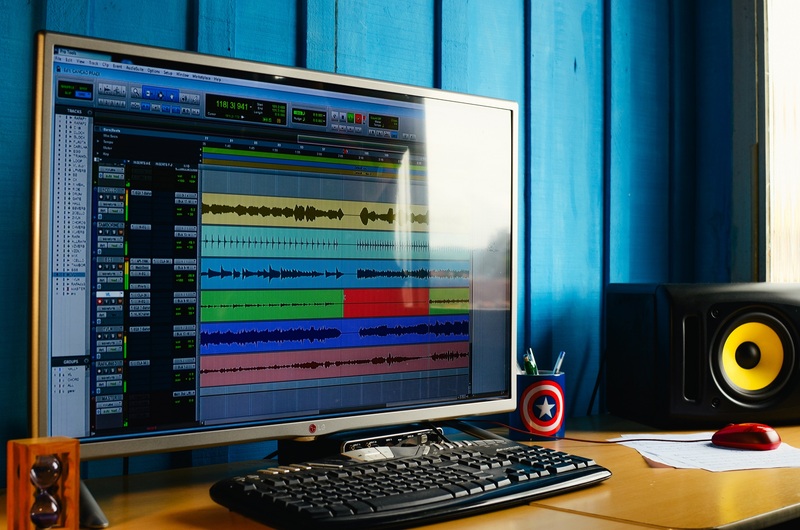 There are a number of things you could do with your tracks once you write, record, mix and master it. You can send them to Bandcamp, Soundcloud or Myspace. You can share encoded tracks to who do you want to share them with. What counts most is the content of the music, and only next in importance is the audio quality. Therefore, you find here quite a few tips about how to prepare your audio production for the internet. Following these, you can save your music from losing its charm when it is streamed. Also, it is no good idea to encode your audio to compromising formats like MP3 or AAC. This is absolutely necessary to make your recordings clear and clip-free, and allowing facilitating headroom – at the same time that a level is maintained sufficiently above the minimum noise of the medium. This also applies to files encoded to MP3 or AAC formats. What usually happens with codecs like MP3 is that aurally insignificant elements (e.g. low signals) are either compromised or altogether removed. This practice follows what is called psychoacoustic mode and gives way to what we call compression artifacts. It may not be possible to guide you regarding setting appropriate level on the meter. It is good if it does not clip. If it is true that tracks should be sufficiently loud, it also is true that they should not be too loud. It clips your files even if the amplitude does not reach higher level than -0.1 or -0.3 dBFS. Clipping occurs because of inter-sample peaks. What else, perceptual codecs make use of filters which introduce unwelcome changes like gain, phase and alterations in frequency relations of waveforms. At times peaks gain up to +5 dB or more in over-processed source file. Such peaks have disastrous impact on low-quality devices. There are plenty of such devices in the market nowadays. Better results could be obtained by using plug-ins like inter-sample detection meter. Setting can be kept under -0.5 dBFS. If you do not have the means to detect inter-sample peaks, then it is good you go as low as 3.0 dBFS. It has been observed that perceptual codecs do not churn out high frequencies well at low bit rates. It matters little if AAC fares better than MP3; because that too does not produce sound quality on par with what you find in professionally turned out CDs when it is streamed at the rate of 128 Kbps. This problem can be partially cured if high frequencies are removed from the mix so that the listeners cannot hear them. All that remains after high frequencies are filtered out is distortions which the hearers cannot make out. It should be noted here that this prescription is meant specially for the Net. Another method to solve this problem is by attenuating high frequencies using low pass filters. Good result can be obtained at around 16 kHz. Some engineers are of the view that even filtering out low frequencies helps. However, experience shows that little can be done to help encoded file. Removing parts at 40 Hz gives way to less bass. However, the technique can be brought to bear on rap, techno and pop in which bass is prominent. As it is, bass distorts sound even more than high frequency notes. What exactly a mastering engineer needs to do is to resort to some experimentation with settings for what he is working with. Bass setting above 30 Hz is considered more suitable. Therefore, high pass filter playing around that frequency may produce better result.